Travis Strikes Again: No More Heroes has a ton of different collaboration t-shirts in the game. We even just found out right before launch that there’s one based on Zelda: Majora’s Mask. Grasshopper Manufacture actually isn’t done adding t-shirts, despite the fact that the game is out. 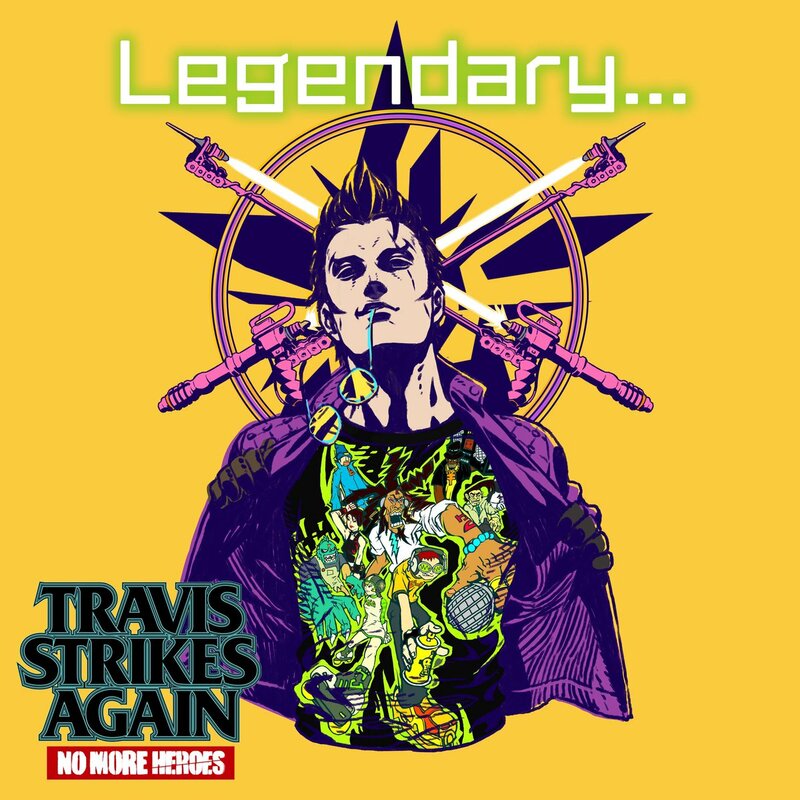 Director Suda51 has revealed that “the first run” of Legendary designs will be coming in February. The first one, pictured above, confirms that one will be for Jet Set Radio.